Our Cloisters flats provide accommodation for eight couples and twenty single people. 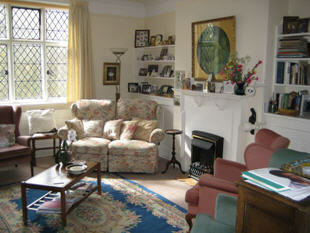 Each has a separate, generously proportioned sitting room and bedroom, together with a private shower room and toilet. The double flats also have kitchen facilities. There is in addition a single Studio Flat. We welcome and encourage Residents to bring their own furniture, although the College can furnish rooms when required. Many also bring their cars, and there is some garage accommodation. Every flat is centrally heated and is fully equipped with television, telephone and broadband internet points. 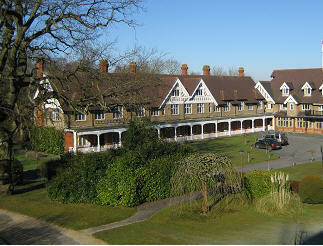 All have views over the quadrangle and towards the surrounding woodlands. leisure facilities within the College.